Aquarius Shipyard is one of the manufacturers of boats and ships. The Company has issued 38,70,000 Equity shares of Rs.10 each. Let’s have a detailed review of the company and analytics of the Aquarius Shipyard Limited IPO release date, IPO offer price, subscription, Aquarius shipyard IPO allotment, grey market price and other details like the company’s background, its financial positions, its promoters and other related things. The Company was originally incorporated in the year 2000 to carry on the business of manufacture of boats, storage tanks and all kinds of life saving equipment’s by using fiberglass materials. the Company basically engaged in designing, manufacturing, Supply and Servicing of Fiberglass Composite, Aluminum, Steel, Rigid & Rubber Inflatable Vessels, Hulls & Boats, Davits, Buoyant Apparatus and allied products. They have successfully manufactured and supplied composite, metallic and inflatable boats to various shipyard and defense organization in India. The Company had started its business with manufacturing of fibre glass boats/composite boats like Passenger boats and Rescue boats and allied products manually while using innovative methods of construction of boats with high quality and statutory requirements. Later on after establishing the expertise in composites, they have moved to Boats/Vessels and allied products in mild steel, rubber and aluminum. They have also developed a superior quality inflatable boat and achieved the desired quality of a boat. They have a dry dock to carry on the repair work on the vessels and set up a service network along the west coast of India from Maharashtra to Kerala. The Promoter of this company are MR. RATNAKAR DANDEKAR AND MRS. MONICA RATNAKAR DANDEKAR. The lead manager to the issue is AWASTIKA INVESTMENT LIMITED and the Registrar to this issue is ALANKIT ASSIGNMENTS LIMITED. The opening and the closing date of IPO of Aquarius Shipyard Limited is not known yet. The Issue is being made through the Fixed Price Process wherein up to 1,98,000 Equity Shares shall be reserved for Market Maker up to ___ Equity shares will be allocated on a proportionate basis to Retail Individual Applicants, subject to valid applications being received from Retail Individual Applicants at the Issue Price. The balance of the Net Issue will be available for allocation on proportionate basis to Non Retail Applicants. The face value of each share is Rs 10, with the price band of Rs 38 per equity share. 38,70,000 Equity Shares of Rs 10/- each but Issue Price is yet to be disclosed so it will be aggregated to Rs (15,00,000* Issue Price). Aquarius Shipyard Limited was originally incorporated in the year 2000 to carry on the business of manufacture of boats, storage tanks and all kinds of life saving equipment’s by using fiberglass materials. the Company basically engaged in designing, manufacturing, Supply and Servicing of Fiberglass Composite, Aluminum, Steel, Rigid & Rubber Inflatable Vessels, Hulls & Boats, Davits, Buoyant Apparatus and allied products. They have successfully manufactured and supplied composite, metallic and inflatable boats to various shipyard and defense organization in India. From the above statements, one could find that the Aquarius Shipyard Limited may perform well. Promoters has shown the interest in acquiring the intellectual rights of the company. Reserved for Market Makers 1,98,000 Equity Shares of Rs 10/- each at an issue price. Net Issue to the Public 18,36,000 Equity Shares of Rs 10/- each at an issue price. Non-Retail Investors Portion ___ Equity Shares of Rs 10/- each at an Issue Price. 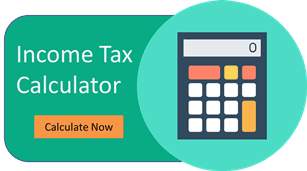 Statutory Auditor – M/s SP Bhandare & Associates, Chartered Accountant. The Aquarius Shipyard Limited IPO Grey Market Premium is not announced yet. It shall be updated as soon as the premium rates are announced.